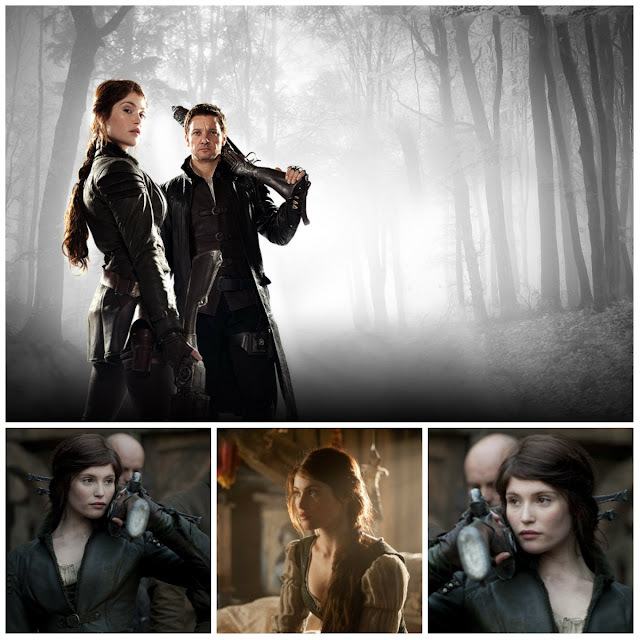 I went to see ‘Hansel & Gretel: Witch Hunters’ at the cinema the other day and loved Gemma Arterton’s hair in it. It was a twisted, messy and out of the way style . The film was pretty good too, even though I read some bad reviews, I really liked it. It was kind of like the first 'Underworld' film, but with witches not vamps and wolves. Oh, and the witches in it are really creepy too, but so much so that they're amazing! I particularly liked the crazy, conjoined twins. Genius. It's just all round awesome :] go check it out if you like that kind of thing. I saw it in 3D and I think it was one of the best 3D films I’ve seen, as it didn’t disappear half way through! It changed a little throughout the film, from braids, to curls from what I can remember. There doesn’t seem to be that many pictures floating about of her hair either. Anyway, I took inspiration from it and created a tutorial! I decided to do it on straight hair, because it obviously works on hair with a bit of texture, and it turned out great – it stayed in all day with a touch of hairspray. So, forget that post about the bungee bobbles! 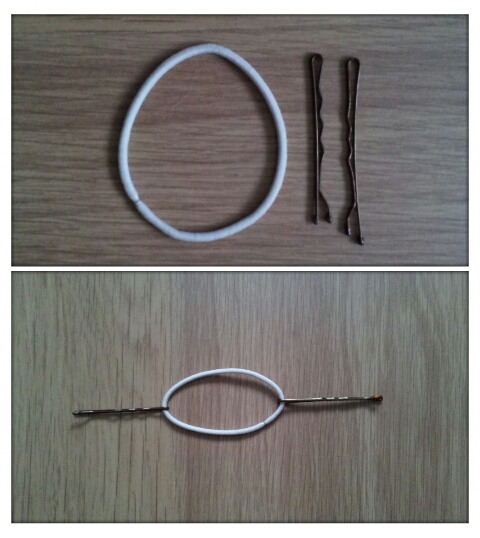 You can make them yourself, you just need 2 bobby pins/hair clips and a bobble of your choice. Yep, that simple, cheap and easy. I almost feel foolish for parting with money for the bungees. Never mind, such is life. The best thing about the DIY is you can choose different bobble thickness for your hair type, customisation is always a winner! Macadamia Natural Oil for the hair? It's bloody awesome. Go try it. So, I have long, thick, coloured hair, that’s definitely prone to a curl and wave on a regular basis, or a blast from the hair dryer, and tumble with a hairbrush. Sorry Hair. 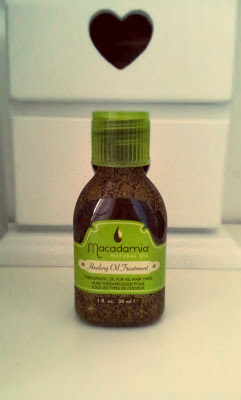 In other words, it gets a tad abused, but Macadamia oil sorts it all out for me, so my hair looks pretty and doesn’t fall out with me/off my head. I got my little pot of joy here, but you can get it on Amazon too and no doubt a tonne of other sites. I’ve tired argan oil, which I found wasn’t anywhere near as good, but I’ve not had a chance to get my hands on the Moroccan oil. I’ve read/heard that the latter has a strong scent and is much heavier? Any thoughts?